Michelle Pratt had been ATV-ing with her family in southern Utah when she unexpectedly flew off a 300-foot cliff. Her 20-year-old cousin, Danielle Lewis, had been riding in the seat behind her. Both had been wearing helmets and miraculously survived, though not without some serious injuries. Michelle suffered a concussion and fractured one of the vertebrae in her upper back as well as her left hand. A major artery in Michelle’s neck was also torn in the fall, which caused a blood clot to form in her brain, which caused her to lose the ability to move the left side of her body temporarily. Her cousin, Danielle, suffered a broken femur. The girls were found by Michelle’s uncle, Lonnie Rasmussen, who had been riding ahead of the girls and became worried when he lost track of them. When he and the rest of the family realized something must have happened, they went on a search and found the girls at the base of the cliff. Michelle and Danielle were flown to a hospital. Both are expected to make a full recovery. However, Michelle will need to go through some physical therapy to learn to use the left side of her body again. 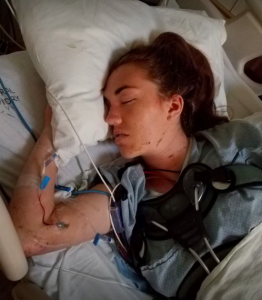 She is currently receiving treatment at the University of Utah Hospital and is already making great progress. She has already taken a few steps on her left leg. Michelle Pratt had just recently graduated from Blackfoot Hight School in Idaho where she had excelled at track and field. Her mother, Alisa, told the Idaho State Journal that Michelle is very determined and won’t let this setback keep her from continuing her running. 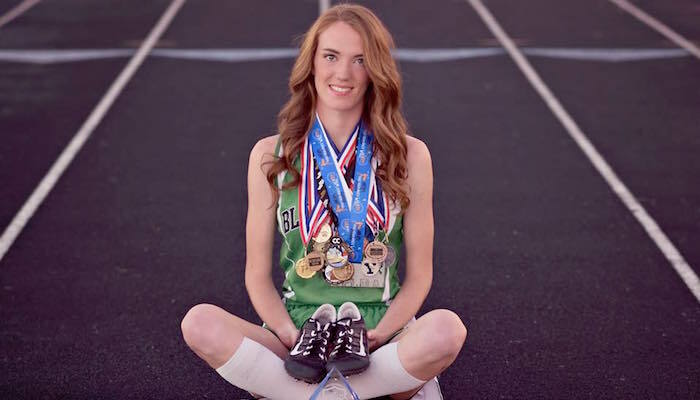 Just two months prior to her accident, Michelle had earned the Idaho State Journal’s Female Athlete of the Year award for her excellent performance as a runner at Blackfoot High School where she won five track and field state championships and a cross country state title.